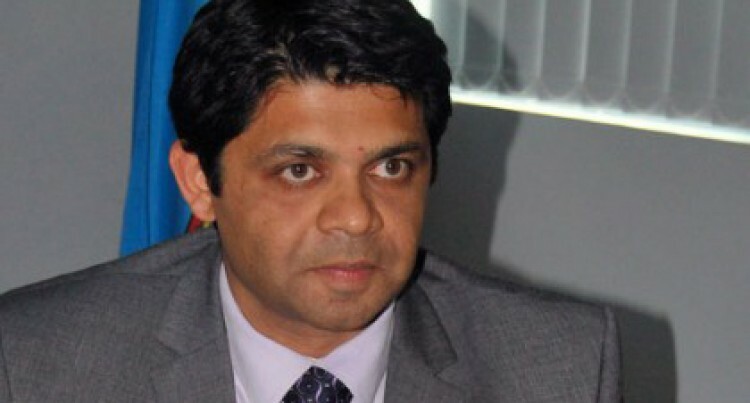 Attorney-General and Minister responsible for Justice Aiyaz Sayed-Khaiyum has voiced concerns about the Land Transport Authority’s discrepancies on the issue of traffic infringement notices (TIN) for those captured speeding by the speed cameras installed. Concerns were raised with his office that TINs issued by LTA did not reach people within the 21 days prescribed time limit. As a result, people who had fines could not pay in time or provide statutory declaration. The 2013 Amendment of the LTA Act states that the owner of a vehicle has 21 days from date when a TIN is issued to either pay the fine or provide a statutory declaration. However, Mr Sayed-Khaiyum’s office has been inundated with complaints that people have been receiving their notices after 21 days and have had to go to court to settle the fines. He has asked LTA to work with the Solicitor-General immediately and amend laws to give people ample time to clear their fines or provide statutory declaration. Board chairman Vijay Maharaj is out of country and is expected to comment on this issue later. This, he said, denied the opportunity for vehicle owners to exercise their statutory right. “Therefore, it is clear that there are serious anomalies in the application and implementation of the law by LTA. Furthermore, LTA’s internal processes and the delivery services which LTA is using are inept. It is also evident that currently the 2013 Regulations do not provide sufficient time for owners to be able to pay the fixed penalty or to provide a statutory declaration. LTA should therefore immediately withdraw the TINs from its records as well as from the Courts where the owners would have been required to appear. The owners who were issued with these TINs must also be informed in writing of the withdrawal of the TINs. In this respect, LTA should immediately liaise with the Chief Registrar of the High Court of Fiji. In instances where the TINs were delivered just a day or two before the expiry of the 21 days, LTA should also consider withdrawing these TINs. LTA must immediately liaise with the Solicitor-General’s Office to review the Act and the 2013 regulations and proposed appropriate amendments to ensure that TINs can be effectively issued and prosecuted and that natural justice is accorded to all Fijians. Any amendment to the 2013 Regulations must be immediately drafted, vetted by Solicitor-General’s Office and implemented. “LTA’s primary role, inter alia, is to provide the appropriate environment for all Fijians to feel confident and to participate equally and with dignity in land transportation and don our roads. It is critical that LTA should do everything possible to build public confidence in LTA and its processes, which must be transparent and fair for all Fijians,” Mr Sayed-Khaiyum said. The Fiji Taxi Association has welcomed the move by Mr Sayed-Khaiyum. Association general secretary Rishi Ram said this was a step in the right direction. “We welcome this news but at the same time want LTA to seek recommendation from the association on this issue going forward,” Mr Ram said. Acting president and Nadi Taxi Association president Saiyad Nabi said they were happy steps were being taken. He said more needed to be done to improve LTA’s service delivery so that people were not penalised unnecessarily. Mr Nabi said some of their drivers did not receive any TIN and only when they took their vehicles for passing, they were informed of the pending fines. Similar sentiments were shared by managing director of Regent Taxis Harish Chandra.